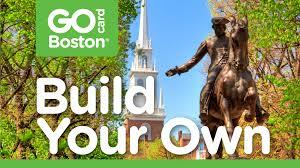 In effect, just about any mark that reasonably relates to Freedom Trail tours or its programs is protected. Accordingly, anyone seeking to use any marks, words, or phrases, which may reasonably be related to the Freedom Trail and its programs should contact the Foundation at (617) 357-8300 extension 201. If you or anyone you know are using any of these trademarks without authorization, please contact the Freedom Trail Foundation immediately.